The first time SeongHa Lee entered the Las Vegas’ Best Bartender Competition, he didn’t fare so well. Lee, a native of Seoul, South Korea, was not yet fluent with English, and he brought with him a translator. The following year, he wasn’t able to polish his speed performance to the degree he would have liked. This year, however, nothing would stand in his way. Lee moved from South Korea to Las Vegas in January 2014 at the invitation of Michael Cornthwaite’s Future Restaurant Group. The venture, 365 Tokyo, was inspired by the formal bar service Cornthwaite experienced on his honeymoon in Japan. Lee had worked at Suntory Bar Yang in Osaka, Japan, from 2008 to 2009, so he was familiar with Japanese-style bar service, and was doing bar consulting and guest bartending gigs in Seoul when a mutual friend introduced him to Cornthwaite. 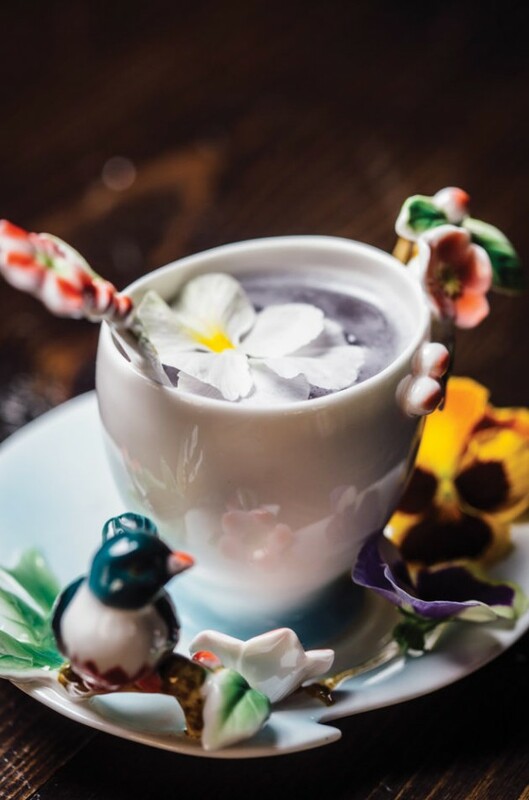 When 365 Tokyo opened in spring 2014, Las Vegas was introduced to lead bartender Lee’s unique blend of intense formality, judicious restraint and a passion severe yet elegant. Even now at Mandarin Oriental’s Mandarin Bar, where Lee has been a bartender since December, to watch him work is to see him button up his natural enthusiasm and friendliness, not as a withdrawal of that exuberance, but rather out of respect for the bar as a place of business and in reverence for brands and tradition. It is this level of seriousness that Lee brings to every competition he enters. Going into the final round, the four finalists (Tacos & Beer’s Katie Cruz, Tatuado’s Ryan Clark and Club Paradise’s Danny Parlin in addition to Lee) were asked to create an original cocktail using either Bulldog Gin or Russell’s Reserve Bourbon. Lee reached for the gin and combined it with a strong brew of Peace Through Water tea, cranberry cinnamon syrup, fresh lemon juice and a dash of blue curaçao for a tranquil purple color. The Secret Garden (pictured, left) was well received by the crowd that rushed the bar at Commonwealth on July 12, and when the points from all three rounds were tallied, Lee was declared the overall competition winner. In a mixing tin combine 1½ ounces Bulldog Gin, ½ ounce fresh lemon juice, ½ ounce cranberry cinnamon syrup, 1 ounce strongly brewed Tealeaves “Peace Through Water” tea and 1 teaspoon blue curaçao. Add ice, cover, shake and strain into a teacup. Garnish with an edible flower. 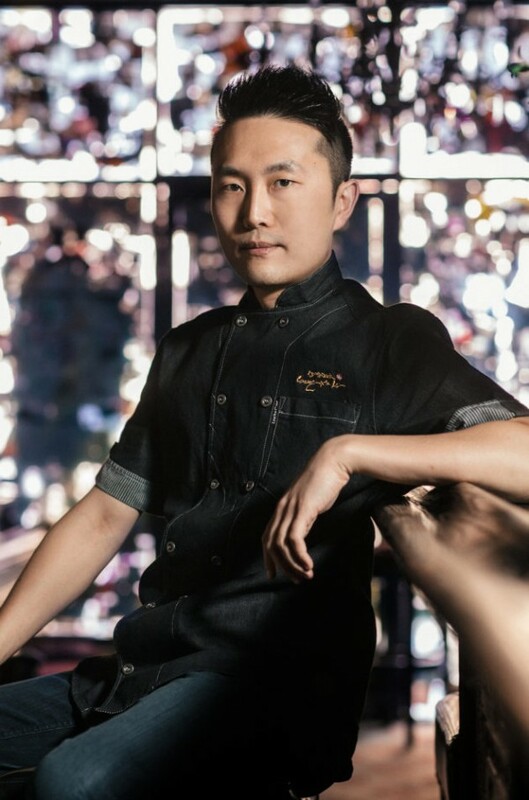 The post Mixologist SeongHa Lee Sows the Seeds of Success appeared first on Vegas Seven.